Memorial Lutheran School's chapter of the National Junior Honor Society (NJHS) is open to 6th-8th grade students who qualify academically and who exhibit dedication and positive leadership. For information on NJHS visit their website. New qualifying students are inducted into the NJHS in the second semester. 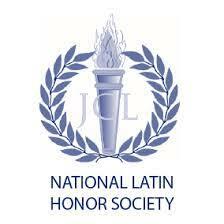 As members of the Junior Classical League, MLS also offers students the opportunity to be a part of the Latin Honor Society (website information). The Latin Honor Society is a special designation given to students who demonstrate outstanding academic achievement and citizenship in Latin class.